Etna, Sicily. 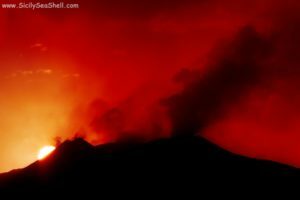 What to see and how to get to the highest volcano in Europe! 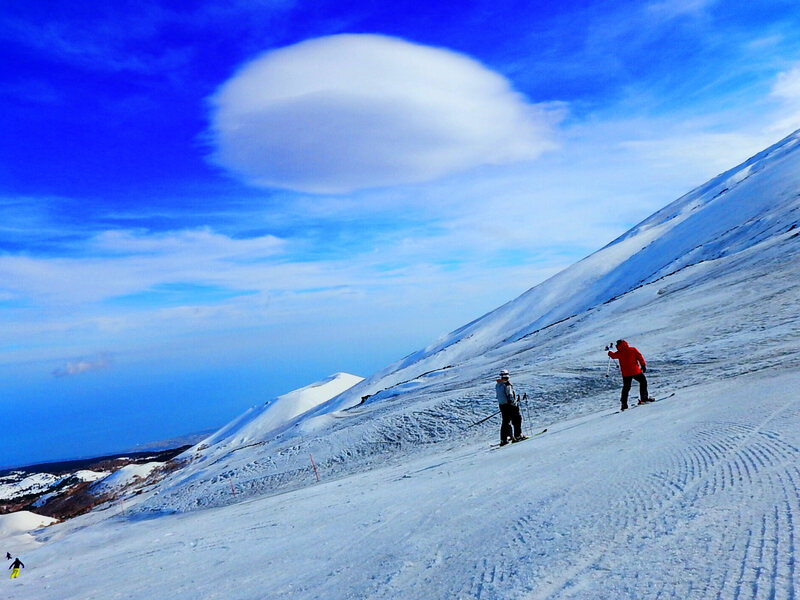 Etna, the highest active volcano in Europe, offers incredible emotions to people who visit it. During the eruptions (unforeseeable) you will be able to attend one of the most fascinating shows of nature. Even when there are no eruptive phenomena, however, you can discover unique landscapes and live experiences that only Sicily can give! Etna is a very large mountain, which reaches an altitude of 3,343 meters above sea level. 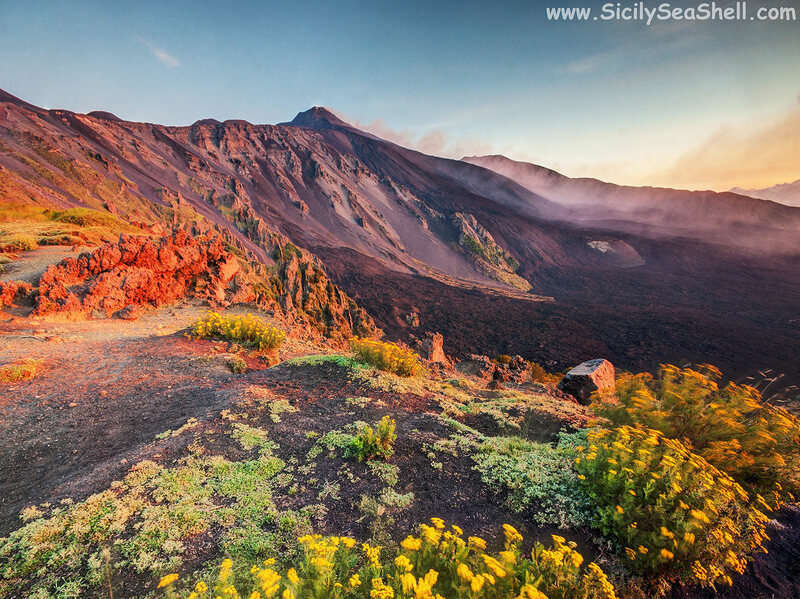 From almost every point of Sicily you can see its figure, characterized by a plume of smoke coming out from its craters. There are mainly two points in which it’s possible to arrive independently at the highest altitudes of Mount Etna: near the Rifugio Sapienza at 1.900m asl (“Etna Sud”) and near Piano Provenzana, at 1.800m asl (“Etna Nord”). These two “poles” are separated by a large depression, called “Valle del Bove” and consequently, to move from one to the other, it is necessary to descend considerably to altitude. The Valle del Bove originated over 60.000 years ago, following the collapse of some volcanic cones. In the early 1990s, the valley was completely covered by an exceptional lava flow, which made the desert landscape extremely suggestive. Near the Rifugio Sapienza (Etna Sud) there are, in addition to the shelter, restaurants, bars, and souvenir shops. A short distance away, just beyond the parking area, you will find easy access to the Silvestri Craters. These are small extinct craters (originating from the 1892 eruption). You can get to their “peak” in a few minutes: a simple, exciting and suitable experience for everyone! In front of the Rifugio Sapienza you will find the Etna Cableway Station. This is the starting point for high altitude hike. The cableway will take you up to 2.500 meters above sea level, then you have to continue off-road. 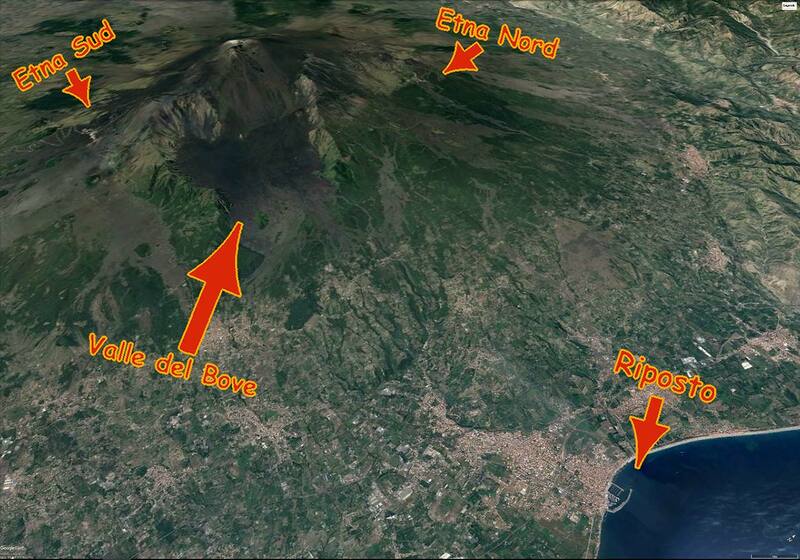 The maximum quota achievable (only accompanied by expert guides) varies based on the eruptive activity of Etna. If you prefer hiking independently, I suggest you take the path known as Schiena dell’Asino. The entrance to the trail is located along the road that leads from Rifugio Sapienza to Zafferana Etna, 1.5 km from the refuge. The route climbs first through a pine forest and among the rocks to reach the edge of Valle del Bove. From the arrival point you can admire an extraordinary view: the solidified lava flows accumulated in the valley have created a huge black stretch, sort of surreal. The pole of Etna Nord, in town of Linguaglossa, is less equipped than the southern side, because of the lava flow of 2002, that destroyed several structures. In this area you will find a restaurant and a base for donkey rides, organized by the company Etna Donkey Trekking. During winter you can enjoy various winter sports; there is also a ski school. Compared to the southern side, the landscape is very different: the black lava rocks alternate with stretches where grows the vegetation. At a lower altitude, on the “Mareneve” road, you will find the Brunek and Ragabo refuges, that are one in front of the other. From here starts the so-called Pista Altomontana dell’Etna, the path that allows you to make an almost complete tour of the volcano, then arriving (after about 35Km) near the Rifugio Sapienza. If you like hiking in the nature and want to admire an extraordinary landscape, I suggest you take the initial stretch. The first kilometers are flat and cross a thick pine wood, and then penetrate into the solidified lava flow of 2002. Continuing on the Mareneve road from Piano Provenzana towards Fornazzo / Milo / Zafferana, you will reach the Rifugio Citelli after a few kilometers. A ring-shaped path starts in this area, to visit the Sartorius Mountains, small extinct craters formed during the eruption of 1865. The itinerary is easy but offers an extraordinary view! In this area there is also a birch forest. 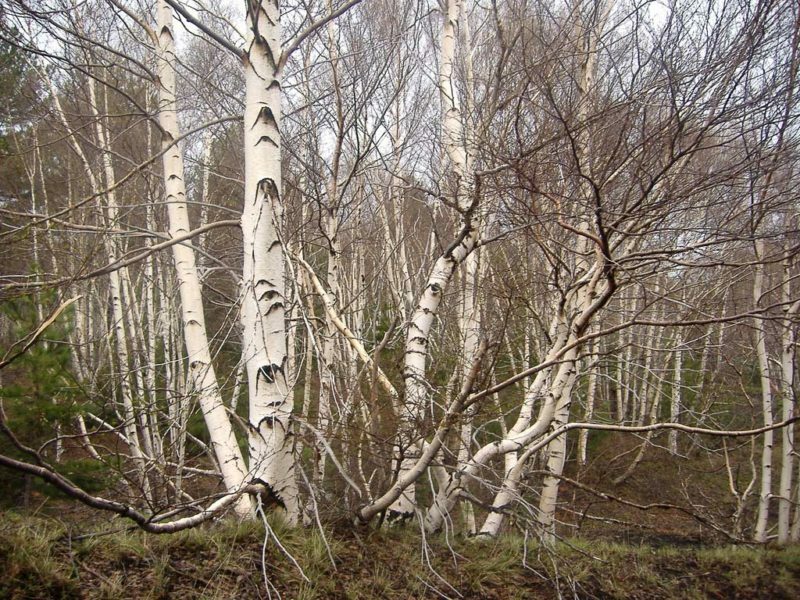 These trees, whose presence is surprising in these latitudes, belong to the endemic species Betula Aetnensis (see image above). Rifugio Sapienza is located about 30 km from the Sea Shell holiday home. To get there by car, first take the SS114 and, driving south, you reach Zafferana Etnea, passing through the town of Santa Venerina. From Zafferana Etnea follow the SP92 which will lead you to Etna Sud. You can reach Etna Sud also by public transport thanks to the service of the AST company, which connects the central station of Catania with Rifugio Sapienza. Depending on the time of the year, there are one or two trips a day. Etna Nord can be reached only by car and, along the shortest route, is about 30 km from the Sea Shell holiday home. First reach Giarre, then follow the signs for Sant’Alfio and go to the town of Fornazzo. From here, take the Mareneve panoramic road that leads to Piano Provenzana.